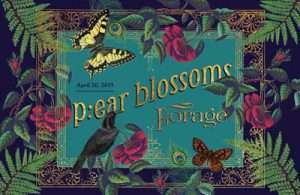 Join us on Saturday April 20th, 2019 for p:ear blossoms “Forage” celebrating 17th years of creatively mentoring Portland’s homeless youth! We'll be serving up sumptuous music, local entertainment and yummy food. Plus, live auction packages might just send you home with a trip to Maui or France, or a dinner party for 12!